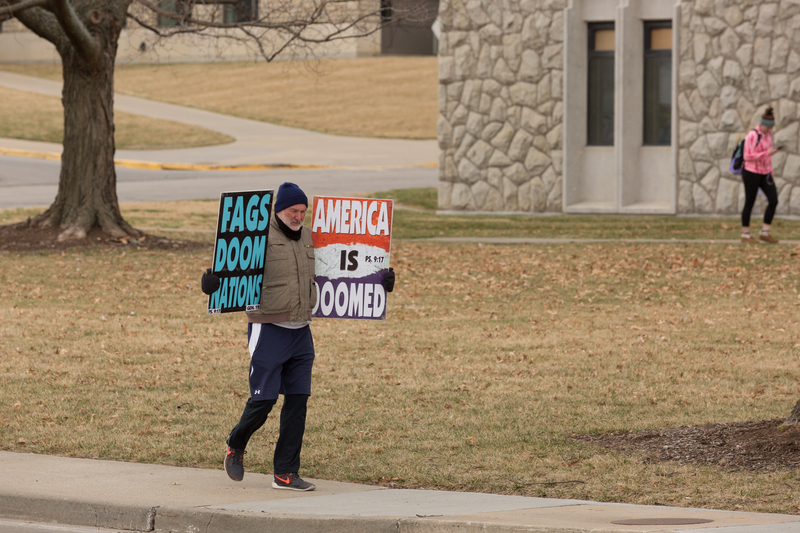 Yesterday a group from the Westboro Baptist Church in Topeka, Kansas picketed in Warrensburg on a corner next to the campus of the University of Central Missouri. It’s not like the good old days when thousands would gather in opposition. So, there they stood for around thirty minutes under the watchful eyes of University of Central Missouri and Warrensburg Police. 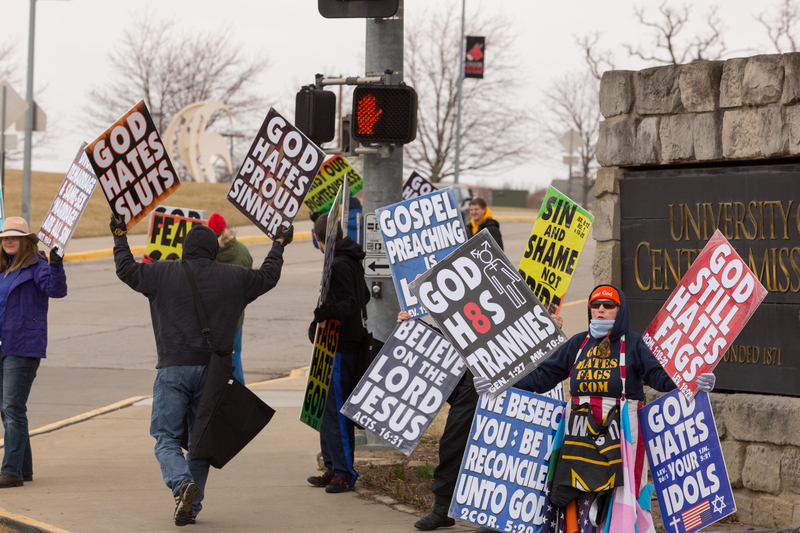 And a handful of counter protesters, curious passersby, and some more forward performance artists. It’s not like the good old days. It has been said that today in America one third of the population would gladly kill another third of the population while still another third would stand by and do nothing. The problem for old school bigots is that now they get lost in the noise. Professionals have taken over in America and they’ve been left behind. It must gall them to no end. All that experience and refined sign making skills. The lessons learned in dressing for the weather, the practice and dexterity involved in holding up four signs. All for naught. They wouldn’t stand by and do nothing. They’d be videotaping it all on their phones.